This is another English Club joining. 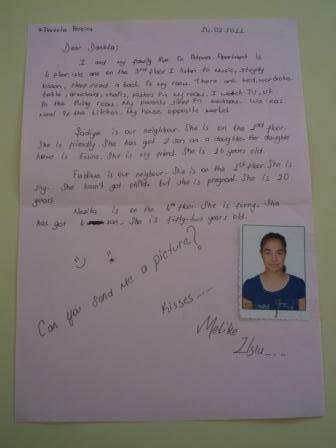 It is Oued Eddahab English Club In Morocco. Please accept us among you. 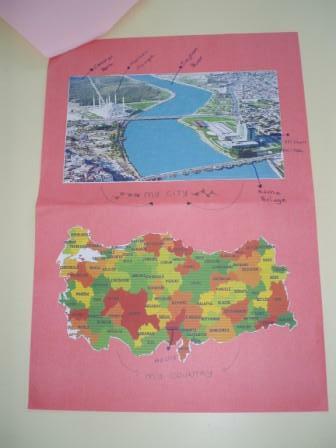 We are ready to share with you many of our projects. 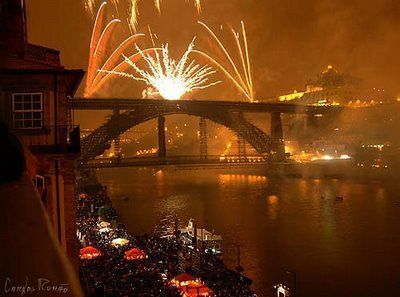 Every year, on the 24th June, the city of Porto celebrates S. João. Thousands of people pay a tribute to Saint John the Baptist. The party starts in the evening of 23rd June. How do we celebrate this day? Find out and tell us!!! Languages are very important all over the world and can change your life. You should try to learn! I guarantee that you will improve! Why is the flag red, white and blue? Red symbolizes hardiness and courage, white is purity and innocence, and blue is vigilance and justice. Why does it have fifty stars and thirteen stripes? The 13 stripes represent the original thirteen colonies that rebelled against the British monarchy and became the first states in the Union. 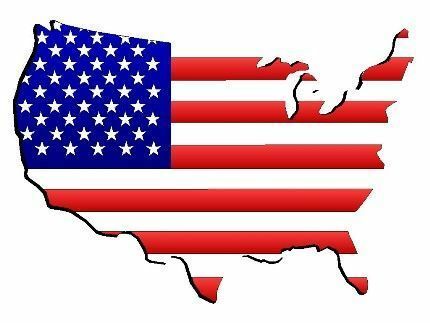 The number of stars on the US flag has grown to 50 and represent every state in the Union. 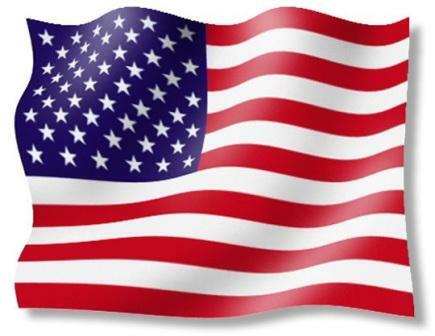 Today is the Flag Day in the USA. 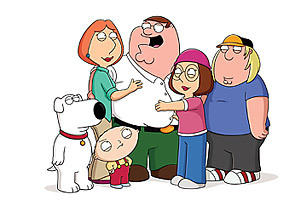 Every June 14th millions of Americans celebrate this day. People observe Flag Day by waving the USA Flag outside their homes and workplaces. There are also special ceremonies held by Veteran’s groups. The legend says that three members of a secret committee from the Continental Congress (George Washington, Robert Morris, and George Ross) asked Betsy Ross to sew the first flag. It was some time late in May 1776. She was only in her early 20’s when she completed the first flag with thirteen stars arranged in a circle. A year later this flag was officially adopted as national flag, and from that time the Stars and Stripes symbolized the U.S. around the world. This day was first celebrated in 1877. 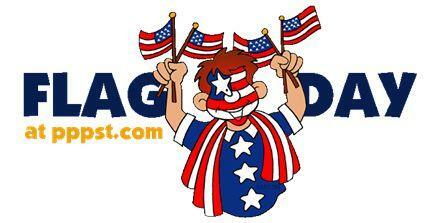 It is still not an official holiday, but the 14th day of June of each year is designated as Flag Day. 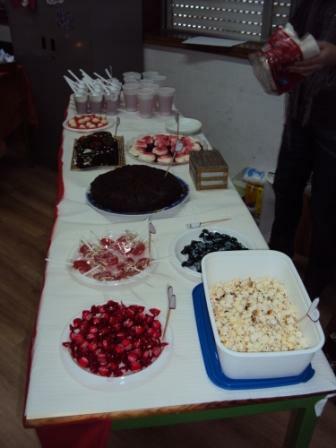 On February 14th, the English Club celebrated the holiday of love, St. Valentine’s Day. It was a day full of love, affection, hearts, love letters, poems…and many activities. 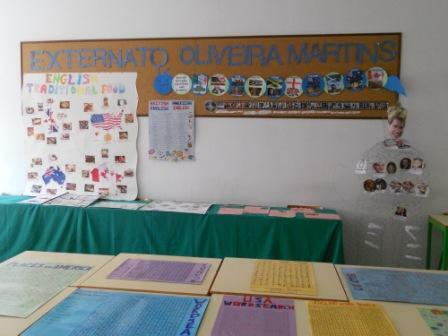 All classes of our school were invited to see the club’s exhibition. 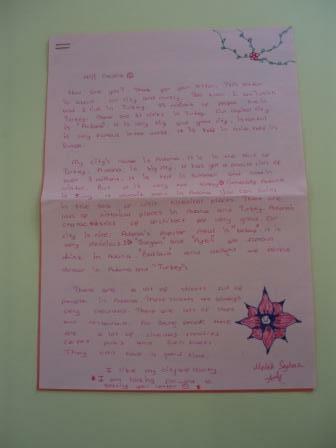 Love poems, posters and cards were displayed and appreciated by everyone. Students had also the opportunity to watch a video about the history of St. Valentine’s Day. 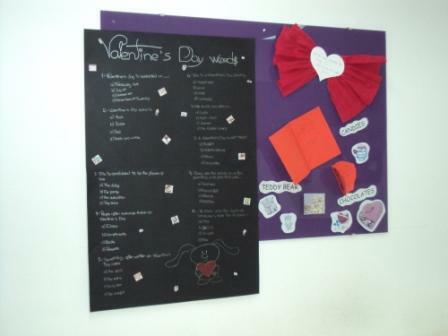 Games and activities weren’t forgotten and there were some Valentine’s word searches, crosswords and quizzes to play. Students also had the opportunity to learn more about St. Valentine’s legend by watching a video recorded by a student of our club (Valentines’ day). 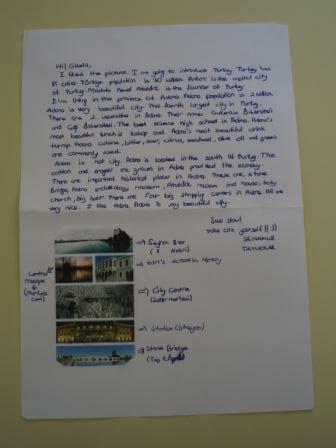 At the end of the day, letters, secretly exchanged among the students were delivered. The day wouldn’t be as complete without some of our cakes that definitely left a sweet taste in the mouths of all visitors. 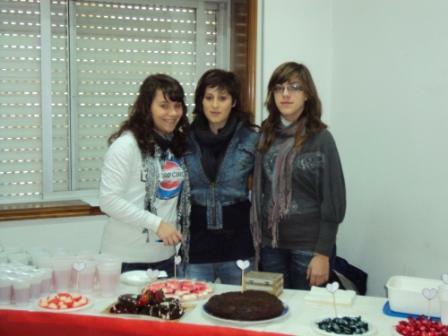 Our school celebrated the Languages’ Day on February 23rd. 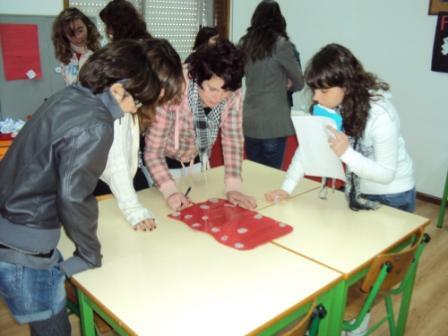 The English Club also played an important role. 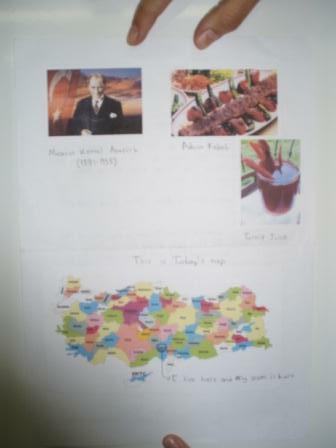 The classroom was decorated and works done by the students on the subject “English Speaking Countries” (The Royal Family, Music, Culture, Food, Traditions, etc) were exposed. 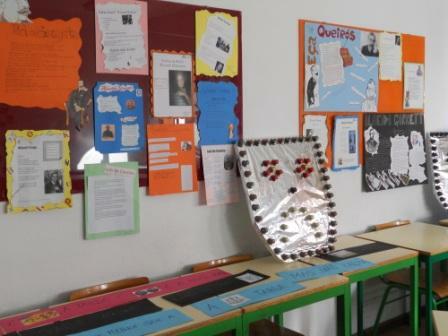 Each class visited the exhibition, assisted to a film about the English Speaking Countries, answered to a quiz on this topic and played games. 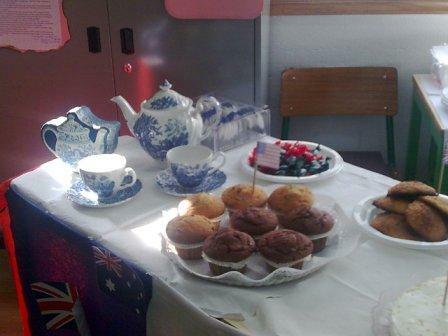 The English Club also prepared cakes according to traditional recipes of these countries, which visitors had the chance to taste.